Getting yourself on the member’s list of an online casino is easy. All you need to do is sign up, and if you want to play for free from this point onwards, you have real money casino quality games at finger tips. Many casinos today operate with Flash, HTML5 and Java coding technology. What this means is that you can play from your mobile or desktop device via a web interface without having to download a casino application. On the contrary, should you prefer to play via a casino app, then there are plenty of online casinos out there that also allow you to download an app. Most casinos offer you the choice to play on an app or on a web interface. With casinos offering both app play as well as web browser play options, you can choose to play via the app on one of your devices, and via the web interface on another device. Which slots do we like the most? Which table games have the highest RTP? We will also cover how you can use bonuses and promotions to increase the amount of cash you have to play with at the casino you choose to sign up to. You can play free games via your desktop, Mac, Smartphone or tablet all available across all the well-known operating systems. If you are looking to play Slots, Blackjack, Roulette, Baccarat, Craps, Casino Hold’em, Scratch Cards or even LIVE dealer casino games for real money, then you will need to make a deposit you can find a list with the best online casinos here. Note: LIVE dealer games are not available for free play. Once you have signed up to an online casino you will be able to play across multiple devices and operating systems using the same user ID and password. What this means is that if you own an iPad, an Android Smartphone, and a Windows desktop PC, you can install the casino app or play from the casino’s web browser using the same account across all your devices. The same casino balance will show because you will be playing from the same account. The only difference you may notice is that some operating systems and devices will not have the full suite of games available. For instance, if you play from a desktop, you will have a far wider range of games available compared to playing on your Smartphone. Older casino games were not originally designed with mobile play in mind, and they have yet to be converted to function on mobile. There are 5 easy steps to signing up for an online casino. You can subtract 1 step, which is downloading the casino app if you prefer to play via your web browser using flash and html5 technology. Before you download the app, you should sign up for the casino first. Most online casinos will offer you a browser version or a download option once you have an account with them. 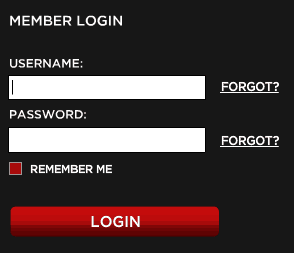 You will be asked to create your account, and a security question. All of these details will be used as security checks if you lose your password, username, or if you request support from customer services whereby the support agent will need partial access to your account. Providing your address, occupation, and mobile number are important. Online casinos are 100% concerned about security and so these details may be requested as a security check when you seek help from customer support. Once your account has been created you may need to confirm your email address, but this is not the case with every online casino. You can usually go right ahead and log in to access the web based games as well as the option to download. If you have decided you would rather use a mobile app ( Please note not all countries can use casino apps from Google and iTunes, so I recommend using above method instead of an app), but if you decide to use an app, then all you need to do is click on the app download button at your online casino. For desktops and laptops, you will need to choose where to download the app to please see below desktop install. When you choose to download a casino app, you will be directed to click ‘install’ as you would with any other app that you install on your smartphone or tablet. The app will seamlessly install itself in the background, and when it has finished, it will add a shortcut to your phone. 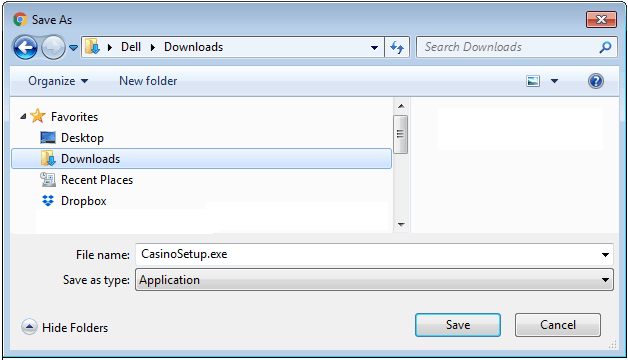 For the desktop install you can choose where to save the downloadable app .exe file. 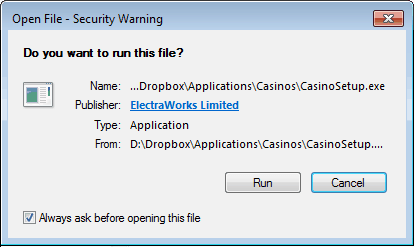 Once you have chosen the folder, the setup.exe file for the casino will be available in the folder you save it to. Log in to your new casino app and start playing games for free, or read on to see how to make a deposit. Making a deposit is easy if you have the right payment methods available to you. Every casino will have different available methods to deposit. Make sure that before you sign up, you have one of the available deposit methods. To add a payment option to your newly opened online casino account, all you need to do is go to the cashier section in the lobby. This should be obvious to spot as the casino wants to make it easy for you to deposit cash into your casino account. You will be presented with a list of payment options and an amount to deposit in the currency you chose when you signed up for your account. 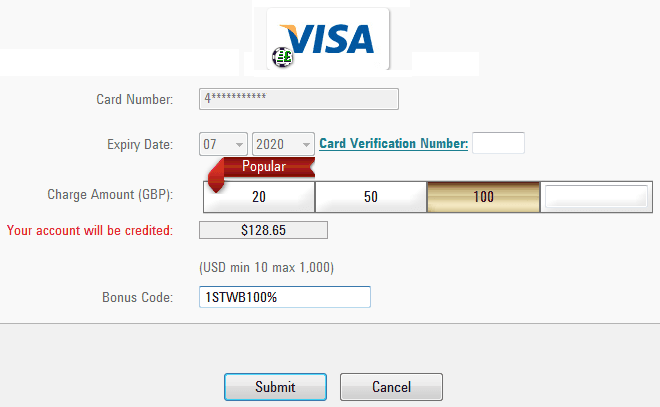 For card payments, you will be asked for additional ID. Once this has been set-up, all your deposits using your chosen card payment method will be instantly credited to your casino bankroll. Using e-wallets is easy, and most of the time you do not need to send additional ID for varication because this has already been done with the e-wallet company. However, you may be asked for at the very least a government ID. Once your method of payment has been set-up, all you need to do is confirm your deposit and you will have cash in your casino account and will be set to play real money games on the virtual casino or over at the LIVE Dealer Suites. Making a deposit at an online casino really is as easy as that. When you make a deposit, you can also use bonus codes that have been offered by the casino. These can be Welcome Bonuses if you have just signed up for a new account, or regular promotion bonuses. Online casinos love giving away free cash. Forget land-based casinos because they rarely give you much to play at their casinos – maybe you will get a free £10 chip with a Social Media promo or if you are a regular member, then occasionally you will be treated. Though, land-based casinos never seem to come close to the online casinos when it comes to treating punters with a flurry of opportunities to ramp up their bankroll with free cash giveaways. Some casino will offer you the Welcome Bonus when you make a deposit; while others, you will be required to enter the bonus code at the same time you make a deposit. Look out for Welcome Bonuses that are split into 3, 4, or even 5 parts. You will need to go to the promotions section and get the bonus code ID, which you will use alongside your deposit. If you cannot find it on the promo page, then the code will be in the terms and conditions section of the Welcome Bonus code. Once you are a fully blown member of the casino keep checking for regular bonuses and promotional offers. Some casinos will send you offers via text and/or email; while, others will have a section on the casino that is dedicated to regular bonuses offered daily, weekly, monthly, and seasonally. Free spins for slots players, free credits for all players as well as deposit match bonus deals. Most of the time these come with a bonus code that is required to be used in conjunction with a deposit. All you need to do is use the bonus section provided in the cashier’s area where you will be making a deposit. Once you are a full casino member, you have access to the majority of games to play for free except for the LIVE Casino. However, if you have deposited cash, then you can play any of the games on the casino using making real money bets. Arguably the most popular section of any LIVE casino is the LIVE dealer suites area. Ditch the Random Number Generators and get stuck into the real thing with web cams streaming LIVE dealers, croupiers, tables, and most excitingly, LIVE results in real-time. If you are looking for an authentic casino experience, LIVE dealer suites are the answer. They are available to be streamed to both desktop and mobile devices giving rise to their increasing popularity. Games available to you will be dependent on the LIVE dealer suite that your online casino is hooked up to. All of these LIVE dealer suites have an amazing range of tables available. In some online casinos more than one LIVE dealer suite provider will be present. All the above mentioned LIVE dealer suite providers have been known to team up and offer their LIVE games back-to-back on the same online casino. You will find that there are mix of European and US style Roulette tables or Roulette with 2 balls, Bonus Pairs, and other Blackjack variants, plus Baccarat comes with No Commission, Speed, and Mini Baccarat styles of the game. The LIVE dealer experience is as real to life as being at a land-based casino with the ability to bet your chips directly on the tables. The cards are real, the roulette and dreamcatcher wheels are real, and the feeling of being sat a live table is real as LIVE dealer suits bring land-based game play to your screens. We highly recommend the LIVE Dealer VIP tables for high rollers as they offer the chance to get down some huge bets. VIP tables come in different VIP categories with some starting as low as £50 per bet and other taking bets as high £15,000 a shot all via a web cam. It really does not get much better than this, and we highly recommend giving the LIVE Dealer Suites a shot! Slot players are by far the most spoilt for choice at any online casino. Every month new slots are being released by NetEnt, NYX, Microgaming, QuickSpin, Playtech, and other big name online casino developers. Many online casinos have more than 1 of these software developers contributing games to their slot sections. Therefore, with multiple slot developers all releasing 1 or 2 new slots for desktop and mobile play every month, the slots sections are some of the busiest in the casinos. Some of the virtual table games at the online casinos have a ridiculously high RTP. If you are a Roulette, Blackjack, Baccarat, Poker, or even a sharp shooting Craps fan, and you have your strategy optimised, then you could be playing forever with some of RTPs the online games offer. For poker fans, Video Poker is the ultimate test getting down to the old ways of 5-Card Draw battling it out in the same way poker was played back in the Old West in the USA. Video poker comes with tons of fun thanks to wild cards, bonus pay-outs, and high RTPs. Slots players and blackjack players can look for an online casino that offers them the chance to play their favourite game in a tournament race versus other players. Just like in the poker rooms there are buy-ins, prize pools, and pay-out positions for those that make it to the final spots in the tournaments. If you are looking to kill some time no matter whether you are at home with access to your PC, or if you are on the move on your mobile, and you love casino games, then online casinos are great fun. Firstly, you don’t have to play for real money. All the online casinos we recommend have free play sections on both their web browser and downloadable app versions. Free games are also available whether you play on your laptop, desktop, Mac, smartphone, or tablet. Plus, all the free games are the same versions the real money players are playing on giving you online casino gaming that does not cost you a penny if you don’t want it to. Secondly, if you do want to play casino games for real money, there is no need to go through the expense and hassle of going to a land-based casino. All the action of a brick and mortar casino is available via LIVE Dealer Suites or Virtual Casino Gaming. The RTPs at the online casinos and the choice of games is far superior. Next, when you play at an online casino, you are always given the red-carpet treatment. Unlike land-based casinos, you will be given tons of free cash because that’s just what online casinos love to do – help you to keep on playing. On the other hand, land-based casinos cannot wait to take your cash as quickly as possible and turn you out, so they can free up their floor space. Another great and valid point to be made about online casinos is that they cater for low stakes players as well as for high rollers. If you want to bet £0.10 per spin on the slots or £500 a spin, you can. If you want to place low stakes £0.10 coups on Roulette games or lay down a unfearingly high £15,000 wager, it is all made possible online. Plus, every time you place a bet, you will be treated to loyalty points that build up for extra cash, bigger and better bonuses, make a trade for tournament tickets or merchandise that includes electronics, fashion accessories, and apparel.